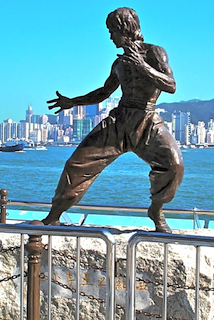 Black Belt Jones thanks for purchasing the Garageband Mac to iPad Oneshot File Converter, as I stated in my reply to your post, I bumped into an old friend of yours playing human statues in Hong Kong Harbour for a few Hong Kong dollars. Bruce Lee in Bronze. BTW I loved the Tangerine Oric computer and Commodore 64 mods and bluetooth midi mods on your site. Also thats a very clever Bluetooth Midi Upgrade for the Korg Monotribe. A bit like Garageband, its strange that developers create complex music items then restrict how it works making less usable for composing. Your midi mod appears to turn the Korg Monotribe into a proper midi beastie. Well there are quite a few views of the converter and 1 buy. It may have been better but eBay had stopped purchases because I hadn't selected a post courier or postal price for my free download delivery of the software. Bizarre. I'm now working on a new Application for Garageband users like me which I hope to have finished for the weekend. Please Note: all of these are Mac only downloads as there is currently no Garageband on the PC and no way the transfer real Garageband files (these are really packages of files) onto the iPad from a PC. 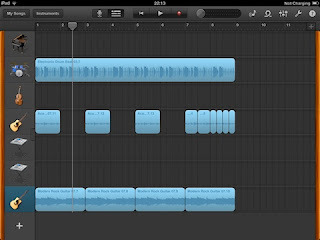 "Garageband Mac to iPad Oneshot File Converter"
Just before Christmas 2012, I was preparing to undertake the Christmas family visits and was deciding what technology to take with me for the downtime when people had ate and drank a little too much and I was still awake. As I had a couple of interesting tunes I'd created in Garageband on the mac (including the Jazzi Song below) but wasn't planning to take a laptop with me, I decided to transfer a tune over to the iPad 3 via itunes to play about with. I opened itunes, connected the iPad and selected the iPad button (top right) and clicked on the Apps Tab. I then scrolled down to the file sharing section (bottom left) and selected Garageband. 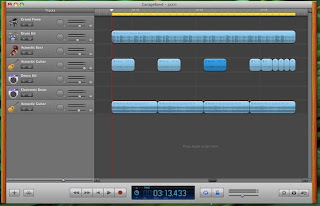 The Garageband Documents window then appeared on the right, I scrolled to the bottom and hit add and added my Garageband music file to the list. Thinking I'd messed up I did it again several times with the same problem, no visible garageband files appeared. So I created one on the iPad saved it to the mac and opened it. As I did it informed me it was updating it, then I reviewed it, saved it and tried to add it, with the same result. Crap I thought this isn't useful. I surfed the web and found various references to manually editing a bunch of the files and did it manually and it worked of sorts, but was really tedious and the slightest mistake meant it didn't work. So I decided to relearn some programming skills and created a one-shot Mac Garageband to iPad converter so you don't have to. Please note this is a Mac Only program as is Garageband. 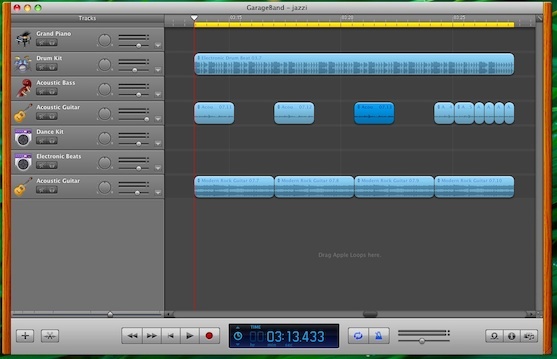 The outcome of my efforts is that the Jazzi project from the Mac Garageband (as shown above) is now converted quickly and efficiently, and transferred in the standard manner through itunes over to the iPad as can be seen from the iPad screen capture below. As always with such tasks it takes considerably longer and is considerably more frustrating than was originally thought, but here it is and it works on my MacBook Pro, running 10.6 and garageband 11. When you've used this a few times, I hope you'll be willing to purchase an licensed copy. Please be aware, I hand build a personalised copy with the latest software here in the UK on receipt of clearance from Paypal, so there may be a slight delay in your receiving a copy. This is not an 'old version' automated software delivery service. You can purchase the fixed1t Garageband Mac to iPad 2, iPad 3 and iPad Mini Converter for just $20 USD using the PayPal 'Add to Cart' button below.